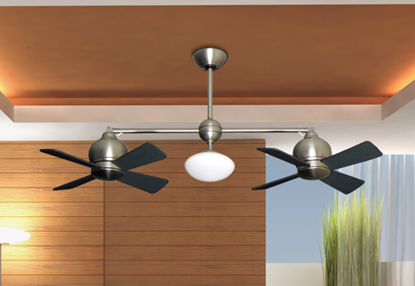 The TriStar ceiling fan has three motors mounted around the large body with an optional dome light. 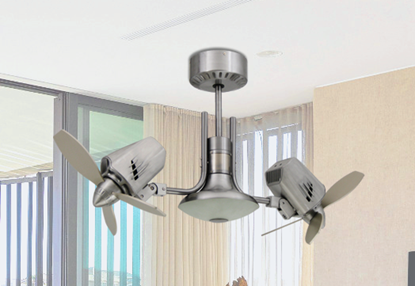 Each of the three energy efficient motors drive 18" sweep blade assemblies for maximum room coverage. 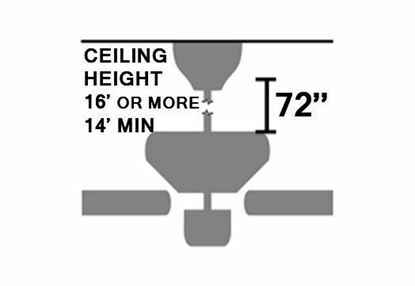 The contemporary design with clean modern lines lends visual weight to your decor for those larger spaces.